Reynolds School students learn how to tell stories through various forms of media. One such form is audio, and our students frequently create podcast projects that reflect their passions or interests. We got the chance to talk with a few podcast hosts here at the Reynolds School and compiled a list of some of the podcasts that came from Reynolds students and alumni from recent years. Read about their inspirations before you take a listen to their podcasts. When Prince Nesta, a Reynolds School grad student, came to the United States one year ago, the last thing on his mind was to start a podcast. In Kenya, podcasts just weren’t that popular, he said. Nesta will be producing his first Swahili episode on Discover America soon, which will become one of the first Swahili podcast episodes in the world. After taking a podcasting class at the Reynolds School with Nico Colombant, Holly Hutchings, a recent graduate, started “How I Broke This.” The podcast brings in students, CEOs, professors and everyday people to talk about a moment they made a mistake. Natalie Weckesser, a senior at the Reynolds School, shared her inspiration for this podcast on the “It Was a Different Time” website. She started the podcast “It Was a Different Time” when she thought others would appreciate the stories the older generations have to tell. Recent Reynolds School graduate, Joey Lovato, and Birkinbine started “Residual Culture” after a heated debate about the cheesiness of the original “The Predator” from the 1980s. They now have over 1,000 subscribers on iTunes for their podcast that covers their differing taste in forms of media. Laura Crosswell teaches Health Communications at the Reynolds School and also hosts “SODOTO”, a partnership podcast between the Office for Community Faculty at the University of Nevada, Reno, School of Medicine and the Reynolds Media Lab. “SODOTO” stands for See One, Do One, Teach One. The podcast covers stories about how your doctor was taught and how sometimes even physicians make mistakes. John Macaluso, a recent Reynolds School graduate, sat down with us in 2017 to answer questions about “Sportscast Weekly.” He started the podcast on his own, but when Nico Colombant offered him an independent study course to strengthen the podcast, he couldn’t refuse. Macaluso learned how to promote his podcast on social media and gained traction as a sports podcast. Fil Corbitt graduated the Reynolds School in 2013. “Van Sounds” is a travel and music podcast that features sounds and stories from different areas. The following podcasts from the archive aren’t currently producing episodes. Read their descriptions and listen to the published episodes to see what these alumni created while in school. A podcast about unique interests with co-hosts Reynolds School graduate Joey Lovato and College of Business graduate Alex Meyerhoff. Currently in hiatus, but expected to return soon. A podcast featuring stories from strangers that rode in Regina Revazova’s taxi cab in Arizona. Revazova received her master’s degree in Media Innovation in 2013. A student-run sports talk show that focuses on University of Nevada sports. 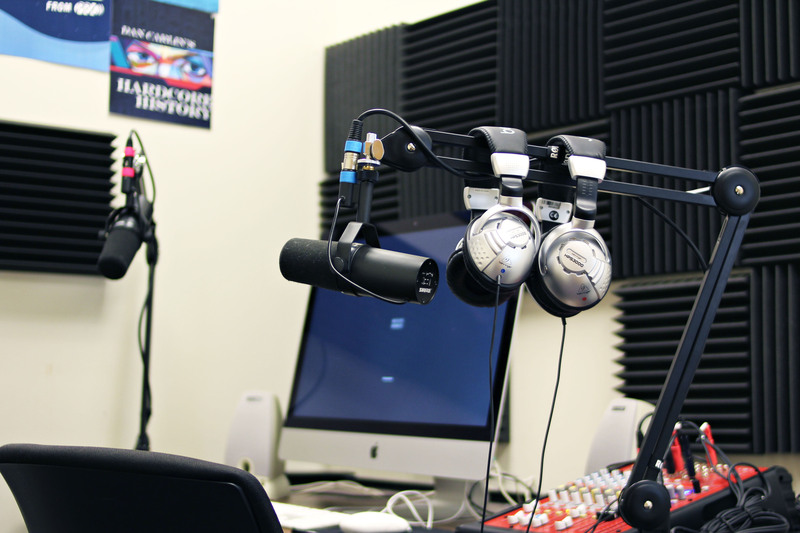 Reynolds School grads Garrett Hirschberg and Jordan Berns co-hosted the weekly podcast. To get an in-depth look at Pack Center, read this story from the Reynolds Media Lab. Corrections: This article was corrected on June 28 to include “SODOTO” and to change the number of years that Prince Nesta has been in America.